Pick specific people or a group of people to send a notification to. Push notify attendees immediately, at a scheduled time, or save drafts to be sent later. Send notifications to all attendees at once. Log into the app management dashboard, enter the tab "Notifications" and click the button "+ Notification". D. Don't forget to click the button "Send, "Schedule", or "Save Draft" depending on the sending option you picked. You are all set! If you want to get back to view all Sent/Drafted/Scheduled push notifications, you can always do it through the same menu. 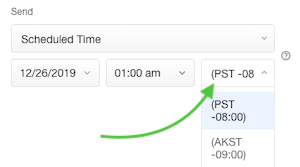 Whenever you schedule a notification to be sent at a specific time, make sure to specify the correct time zone. 2. There is a slight difference between Multi- and Single-Event apps when it comes to sending a notification to a particular subset of participants. To achieve this goal, in One-Event apps, you can create groups and then differentiate app users internally by adding them to those groups. 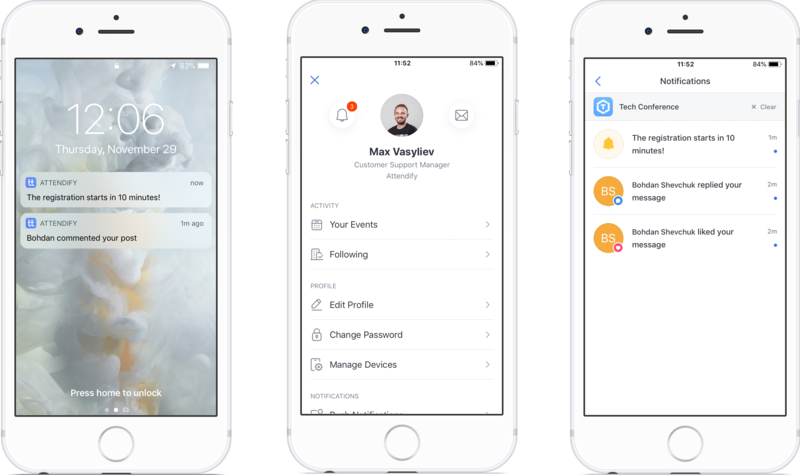 Later, you are able to send push notifications to a selected group. Unlike in One-Event app, groups are called "Tags" in Multi-Event ones and can only be created at the event level. So if you are a Multi-Event app user, you should enter management dashboard of a particular event inside an event container and send push notifications to the existing tags from there as this option isn't available at the container level. Check here for more info on how to create Groups. Check here for more info on Notifications Center within the app. 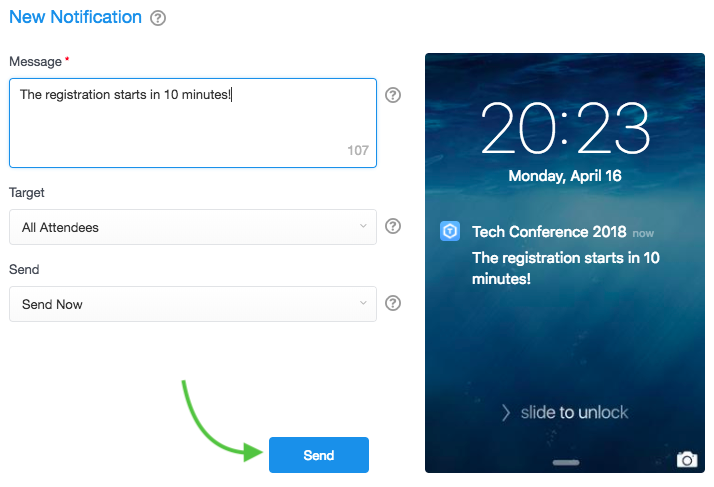 Check here for more info on the best ways to notify attendees about your event app.